... the tool that helped me complete the May Photo A Day Challenge! While some of the pics I posted in the series were scans of old reel-camera prints, and a few were taken by my cell phone camera, most were a product of my Canon Powershot A610 digicam. P.S. - Dad took this picture from my cell phone, while I held my digicam in my hand. This is my 30th post for 2013 May Photo A Day Challenge. Link to the previous post: "Photo A Day - Kiss"
ah yes! The camera was my one companion wherever I went this month!! LOL! The most important and most widely used tool, this month! n i dont hv my post yet! Cool! all my pics are a product of my phone...I never owned my personal camera...ever! Pixie, aren't u joining in for the next month then? Jyothi, I have a Samsung phone, and the photos taken from it don't turn out as well as my digicam. 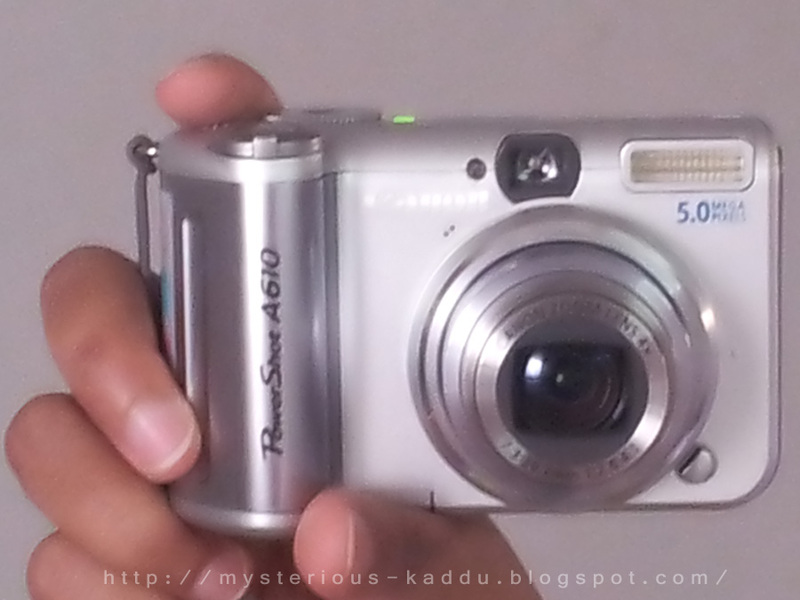 Even though my digicam is just 5MP, while the phone camera is 8MP! And it's not even a SLR... just a simple point-and-shoot. Plus it's black... I love black cameras! @Kajal - For me, a phone is a device meant for making calls. I have started using it for other things now, but I still don't feel very comfy handling it... I don't understand it properly yet.